The Mariners might need to get "creative" with their starters this weekend with Paxton possibly out and Felix Hernandez seemingly unlikely to pitch Saturday. 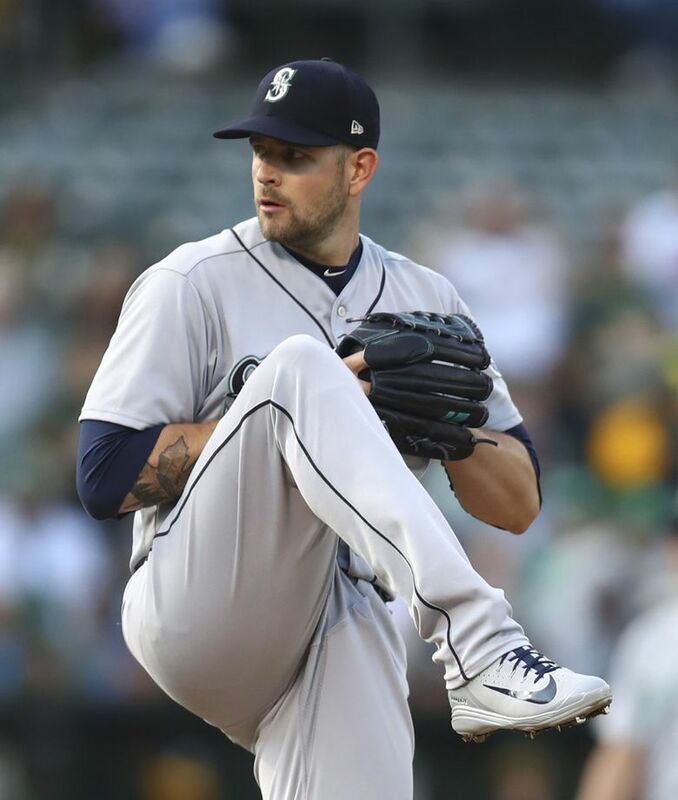 Mariners starting pitcher James Paxton has a virus and will not fly with team Wednesday night to Anaheim, Calif., according to manager Scott Servais. Servais said it’s possible Paxton could fly later, but Servais said the left-hander’s scheduled start Friday against the Los Angeles Angels is in jeopardy. Servais said the virus Paxton has is different than the one ailing shortstop Jean Segura. Segura was out of the lineup for a second straight game, but was expected to fly with the team to California. Meanwhile, it seems unlikely Felix Hernandez will make his scheduled start Saturday. Hernandez left last Saturday’s game against the New York Yankees with right hamstring tightness. Servais said there was a meeting scheduled with Hernandez to talk about the plans for him for the rest of the season. Servais was asked if he had any ideas on how he would set the starting rotation this weekend. Cameron Maybin was scheduled to start in the outfield Wednesday but was scratched because “he is nursing a sore elbow,” according to Servais. That gave Kristopher Negron a chance to start in left field. Servais said left-hander Marco Gonzales will remain in the rotation through September, “but we’ll be very cautious with him and I don’t think you’ll see us extend him to 100 pitches.” Gonzales returned from the disabled list to throw five strong innings Tuesday against San Diego, allowing just one run. He has thrown a career-high 150 2/3 innings this season.